The ERS summer schools in both adult and paediatric respiratory medicine were held in Lisbon, Portugal on June 15–18, 2016. The summer schools provide a comprehensive update on adult/paediatric respiratory medicine and are intended to help participants prepare for the European examination in adult/paediatric respiratory medicine. The course programmes are designed to challenge participants and each course included a mixture of case presentations with interactive discussions, plenary lectures and workshops. 59 participants took part in the summer school in adult respiratory medicine, the majority of whom were clinicians. The attendees were eager to learn about the challenges of differential diagnosis in clinical practice as well as how to approach the European examination in adult respiratory medicine. Faculty members felt that the interactive sessions were lively and enjoyable. These sessions provided opportunities to discuss a broad range of questions surrounding each topic, which had not necessarily been addressed during the lectures. This 4-day interactive course, led by a world-class faculty, provided a concise straightforward overview of the major fields in respiratory medicine based on the HERMES syllabus. It allowed me to understand the progress I have made and to look forward to the challenges that lie ahead as well as to discover the areas in which I need further training. We had a great time and learned a lot. The academic atmosphere of the course was accompanied by the opportunity to forge new friendships and participate in challenging discussions around the presented topics. All sessions had a marked character of interactivity and I enjoyed being with people who really like what they do and are open to share their experience. A special part of this course was the multiple-choice question (MCQ) discussion sessions, comprising clinical scenarios with MCQs and explanations. These sessions really helped participants to overcome their fear of the examination and move one step closer towards their goal. No less interesting and enjoyable were the workshops on lung imaging, pulmonary function testing and sleep-related disorders, which focused on interactive case presentations and allowed you to practice selecting appropriate investigations in specific clinical situations. Interstitial lung disease and lung cancer were recognised as the most demanding topics by the majority of participants. The new diagnostic and treatment strategies, which are not always available in clinical practice, raised a lot of questions and were the perfect ground for a detailed discussion. Personally, from this course I learned in more detail about the management of sleep-related breathing disorders and thoracic tumours, both fields that are covered by other specialities in my country. Overall it was a fantastic experience that exceeded my expectations. Thank you for the welcoming treatment offered by the ERS team. For me personally, attending this ERS summer school was an important step in my formation as a doctor and as a pulmonologist in particular. The outstanding lectures were constructed correctly from a methodological point of view and were easily understandable. I use the information I learnt daily in my own work and share it with my colleagues and students. I want to express my gratitude to Jean-Pierre Zellweger, who substantiated his seminars on pneumonia and tuberculosis (TB), in particular with multidrug-resistant TB (which is unfortunately topical in Ukraine), with the clinical cases from his practice. The excellent workshops not only made me radically change my opinion about radiographs and computed tomography (CT) images, but also turned them into a different frame of reference. The atmosphere of the course was unmatched, and rich in intercollegiate discussions with analysis of specific clinical cases and exchange of experience, which is extremely important for young professionals in the early stages of their careers. Based on daily discussions of everything we learned from the lectures and workshops, the most controversial issue among attendees, undoubtedly, was the problem of sleep apnoea, although this can be explained by the lack of sufficient experience in this area for many participants. Unfortunately, the health system in my country is significantly different from the European one, although all the recommendations for diagnosis and treatment of certain pulmonary diseases are based on European analogues. Therefore, the experience and new knowledge obtained during my training at the summer school not only helps me in my daily practice, but I am also pleased to share it with my colleagues and students in order to accelerate implementation of the European system. The summer school in paediatric respiratory medicine had 60 participants, most of whom were clinicians although general practitioners and allied health professionals were also represented. Attendees were particularly keen to learn about clinical studies and guidelines for therapy, and were very active in their participation in the interactive sessions, especially the discussions of clinical cases. I am a paediatrician from India with interest in paediatric pulmonology. I am grateful to the ERS for granting me the bursary to attend the Summer school of paediatric respiratory medicine in Lisbon. Most of the course attendees were preparing for the European examination in paediatric respiratory medicine and the course covered important topics that are assessed in the exam. The guidelines which need to be followed and that will be used as a reference for the answers were highlighted. The summer school provided a sort of a crash course to cover as many things as possible in a limited time. It gave individuals approaching the exam an idea of where they stand in terms of preparation for the exam. Although I am not sitting the exam this summer, I learnt about many aspects of paediatric respiratory medicine enabling me to approach patients and provide consultation without doubt. I feel that this course has broadened my view, which will help in considering alternative diagnoses and instil a protocol/evidence based approach. I intend to set up a pulmonology division in our paediatric department and help broaden the scope of services offered. This division would also train postgraduates in the basics of paediatric pulmonology. This course gave me a perspective on the approach to respiratory problems in outpatient departments, inpatient wards and intensive care units. The atmosphere of the course was friendly. There were participants from more than 20 nations. Each participant had a different point of view and knowledge base. Our coffee-break conversations spanned the current state of paediatric health in our respective countries to advancements in paediatric respiratory medicine. Some attendees were full-time paediatric respiratory consultants with an academic presence, while others were practitioners with interest in the subject. The MCQs after each lecture gave a peek into the competitive spirit of the participants. Interaction with the faculty was a pleasure and a learning experience in itself. Their confidence, knowledge and humility impressed me. Each had their favourite subject and area of excellence. I had the company of three other participants from India, and we made new friends too. There were a few issues that were controversial, for example the SIGN TB guidelines; these are applicable mostly in non-endemic countries only. Participants from India and other endemic countries differed in their opinion. The lower threshold for labelling active TB and initiating treatment was difficult to digest. The guidelines need work. Or the ERS needs to set and follow new ones. The TB questions asked by participants were not answered satisfactorily by the speaker. The lectures on sleep disorders were in the last session on the final day and hence were cramped for time and hurried. Among the participants, not many, including myself, have had any exposure to diagnosis and treatment of sleep disorders in children. This is a new sub-specialty for us. Such intense sessions should be included earlier in the programme when there is adequate time allotted. The final day also included the session on rare disorders including childhood interstitial lung disease. This session would also have benefitted from earlier and longer scheduling. I feel fortunate to have attended this excellent course. I was particularly impressed with the excellent sessions on pulmonary function testing (PFT), cystic fibrosis and imaging. The session on PFT was enlightening. Mariëlle Pijnenberg is a great teacher, and the multiple breath washout and reversibility testing lectures were great. I had a few doubts about inflammatory markers; the lecture on exhaled nitric oxide fraction cleared them with simplified understanding. Jonathan Grigg delivered an excellent lecture on infections. The lecture on bronchiolitis, which included Cochrane data, was to the point. The reading material provided and the handbook contains recent relevant information in concise form. The course covered the length and breadth of the subspecialty in the limited time available without being mentally taxing for the participants. I would happily recommend other paediatric respiratory medicine trainees and professionals to attend this course. The paediatric summer school was an excellent comprehensive review of the major topics in paediatric respiratory medicine. It was very useful not only for those planning to sit the European examination in paediatric respiratory medicine, but also for all practitioners who would like to update and expand their knowledge with the most recent advances in this fast growing field. The course programme covered most topics from basic science, diagnostic tests and procedures to complicated clinical scenarios. The structure of the course was also inclusive, with a range of formats including lectures, workshops and interactive sessions with MCQs. There was a good opportunity for all attendees to participate in discussions and ask questions. In addition, having a faculty of international experts in the field of paediatric respiratory medicine sharing their own experience provided the participants with a unique opportunity to learn from the best. The faculty were very motivational and did not hesitate to offer any help during and even after the course by sharing their contact information for future communications. In addition to the faculty, ERS staff members were available all the time for guidance and help with any queries. The educational material that was distributed was very useful in preparing for the course and will be a good resource to study for the exams as well. During the course the participants were given good information on how to register and prepare for the exams. The atmosphere of the course was very friendly. 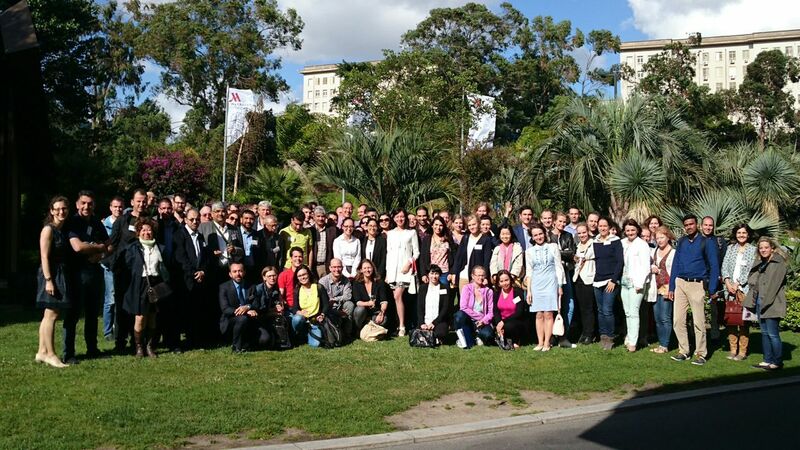 There were international participants from both European and non-European countries. This interesting mix of nationalities gave us a chance to meet and learn from each other. It was very interesting to learn about the challenges that paediatric respiratory physicians face in other parts of the world, and about the diversity of clinical practice. The course provided us with an opportunity for networking and possible future collaborations. The schedule was structured to give enough time for the talks and discussions, and also adequate time for breaks and networking. There were some controversial topics. As in any other branch of medicine, there are always different practices in different countries and even at different centres within the same country depending on the available resources. The discussions during the talks about these controversial issues gave the participants different perspectives that they could modify and adapt in their own practice. This kind of debate in medicine is always constructive and expands the participants’ point of view. The venue of the course was very comfortable. It took place in the beautiful city of Lisbon, Portugal. Participants had the opportunity to join a guided tour organised by the ERS to enjoy this lovely city and to socialise with each other and interact with the faculty. Overall, the course was a valuable and unique learning experience for me. Being a member of the ERS gave me the opportunity to receive a bursary to attend the course. I encourage all ERS members, especially those at an early stage in their careers, to attend this course and benefit from all the educational activities that the ERS has to offer. I thank the ERS, the faculty, and all the participants for such a wonderful course.